I’m heading to Vegas with my kiddies for a LONG vacation to hang out with my family. I’m excited since I don’t get home often. But it’s going to be HOT–over 100 degrees of desert heat. So, air-conditioning is the way it goes down there. Of course I’m thinking how I’m going to go on long runs without passing out. While I’m down there I’ll also go to my high reunion and see my old dear girlfriends. It should be lots of fun. 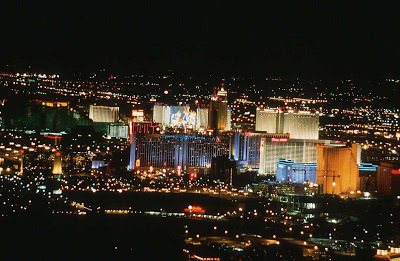 And I’m also trying to sneak in a show on the Strip–those are always fun to go to. I’m bummed though because I always miss Elton John’s Red Piano at Caesars. It’s suppose to be a great show and he won’t be playing in Vegas until October. Someday I’ll see him play. I’ll try to blog from a far. The post Viva Las Vegas appeared first on Darling Darleen | A Lifestyle Design Blog .